Preservatives are substances, natural or synthetic, that help keep foods fresh looking and tasting longer and prevent them from rotting or deteriorating too quickly. Synthetic or artificial preservatives are used in processed and packaged foods sold in grocery and convenient stores for longer shelf life. However, many natural preservatives work just as well their synthetic counterparts. Salt has been used as a natural preservative since ancient times. Primarily used for fish and meat, salt helps dehydrate microbes through the process of osmosis and halts the growth of bacteria, keeping food fresh for longer periods, even years. Salt also combats yeast and molds. "Cured" meats, which last longer than fresh meats, are an example of preservation with salts. Sodium chloride draws out moisture, creating an environment that is detrimental to the growth of bacteria. Lemon juice contains plenty of vitamin C, also known as ascorbic acid, which is a powerful antioxidant that prevents spoilage and rotting. Similar to salt, lemon juice draws out water content, balancing the pH factor and natural acids in food. 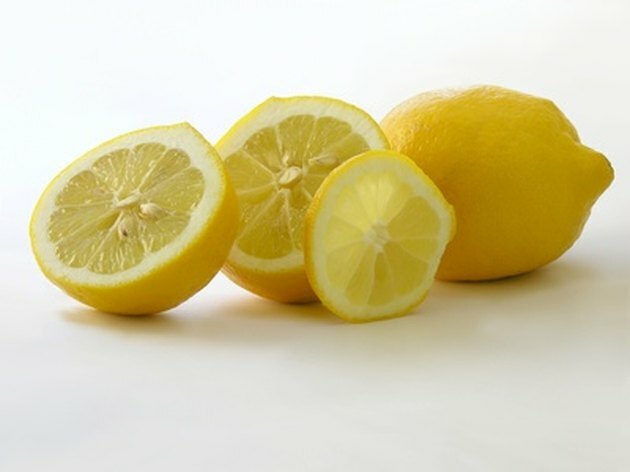 C6H807, or citric acid, is an acid found in lemons, which is used in beverages, foods, cosmetics and pharmaceuticals for preserving color, flavor and taste. Vinegar is made from the fermentation of sugar and water solutions and is an effective natural preservative. The acetic acid in vinegar kills microbes and stalls food spoilage. 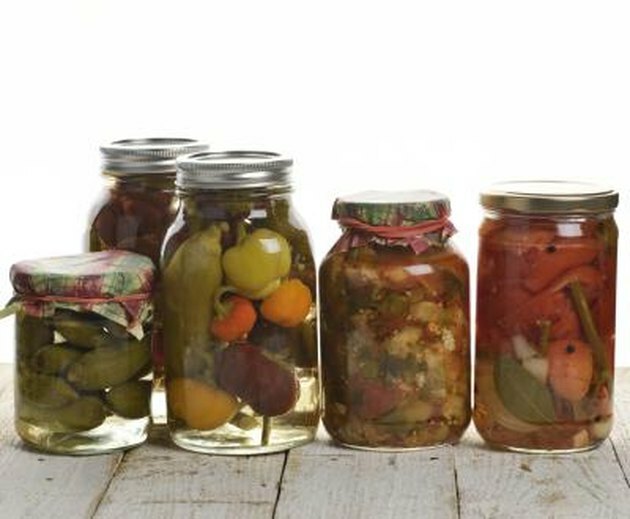 Pickling is a common method of using vinegar as a preservative and also adding flavor to foods. Rosemary extract is made from the distillation of rosemary leaves and is a powerful preservative. Its anti-microbial composition contains carnosic and rosmaranic acid, antioxidants that act as shields to decay. The Phytochemical Database supervised by Dr. James Duke from the U.S. Department of Agriculture, states that rosemary has over 24 antioxidants that have a longer life span of activity than most other types of antioxidants. Sugar naturally preserves food by drawing out water and killing microorganisms and bacteria. Popular for preserving fruit, the high sugar content binds water and prohibits the growth of bacteria, mold and yeasts. Sugar is often added to water in a flower vase to feed flowers and preserve their life. What Are the Benefits of P73 Oregano Oil?